What looks like a butterfly, acts like a butterfly, but isn’t a butterfly? 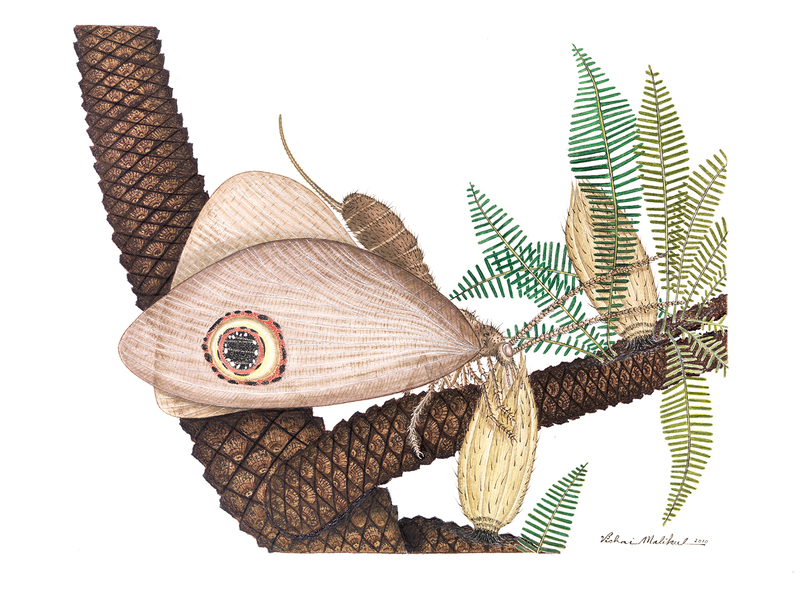 A study out today in the Proceedings of the Royal Society: B that features IU paleobotanist David Dilcher as a co-author identifies a Jurassic-age insect whose behavior and appearance closely mimic a butterfly — but whose emergence on Earth predates the butterfly by about 40 million years. The discovery of this insect was made possible by the examination of well-preserved fossils recently recovered from ancient lake deposits in northeastern China and eastern Kazakhstan. The study was led by Conrad Labandeira, a curator at the Smithsonian Institution’s National Museum of Natural History, and Dong Ren of Capital Normal University in Beijing, China, where the fossils are housed. Dilcher is an emeritus professor in the IU Bloomington College of Arts and Sciences’ Department of Geological Sciences. An image of the fossilized lacewing Oregramma illecebrosa, left, and the modern owl butterfly Calico Memnon, right. Images courtesy Conrad C. Labandeira and Jorge Santiago-Blay, left, and Jim DiLoretto, right. Based on their examination, which drew in part upon microscopically small clues such as the fossilized remains of food and pollen trapped in the mouthparts of the insects, Dilcher and colleagues concluded kalligrammatid fed upon bennettitales using a long tongue to probe nectar deep within the plant. The insects also possessed hairy legs that allowed for carrying pollen from the male flower-like reproductive organs of one plant to the female flower-like reproductive organs of another. Eventually, this system of pollination by long-tongued lacewings traveling between plants with exposed reproductive parts — called gymnosperms — gave way to the more familiar system of insect pollinators and modern flowers, or angiosperms, in which the reproductive parts of the plants are contained with a protective seed.